Flat, Mostly high ground, access is via the Soo Line Trail or 16th Ave. NE, (Also a Trail) at the property. Deer, Bear and Grouse hunting galore. 2 Properties directly to the North are also listed and could be combined with this one for the buyer looking for additional acreage. All dimensions are approximate, taken from Cass Co. GIS Mapping system. Buyer and buyers agent to verify. Property HAS NOT been surveyed according to the owner. Nearly 2 acres ready with well, septic and electric for you to build or bring your camper/RV to enjoy a seasonal getaway. Close to many of the best fishing lakes and recreation the Lakes Area has to offer. NEARLY 2 ACRE NICELY WOODED LOT CLOSE TO ROOSEVELT LAKE INCLUDES A 29 FT COACHMAN TRAILER READY FOR USE. ELECTRIC CONNECTED. SEPTIC HOLDING TANK INSTALLED. GREAT LOCATION FOR BOWHUNTING. CLOSE TO MANY TRAILS, PUBLIC LANDS AND RECREATION. Affordable Starter Cabin. 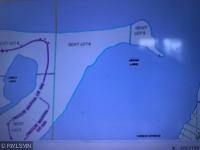 Private lot, good fishing close to amenities of Brainerd. A great weekend getaway that could be your future retirement spot. Come take a peak! Deer, Bear and Grouse, a hunters paradise, this 46.36 Acre parcel is ideal hunting ground for Deer, Bear, grouse etc. Access is unknown, but could possibly be from HWY 8 as the SW Corner is at or almost to the Road ROW, .55 miles S of the Federal Dam City Limits, per the Cass County GIS Mapping. Owner's grandson just shot a nice 10 pt on Site this season. EXCELLENT HUNTING LAND. Deer, Grouse, Turkey and Bear. Access trails already established great spots for food plots too. Private access to hundreds of acres of county land to the north and west. Come take a look. 40 WOODED ACRES LOCATED NORTH OF WALKER JUST OFF THE SHORES OF STEAMBOAT LAKE. GROOMED TRAILS THROUGHOUT WITH A NICE BALANCE OF HARDWOODS AND PINES. LEECH & CASS LAKES CLOSE BY TOO! A private setting for you to enjoy 439 ft of lake frontage on beautiful Pine Mountain Lake. Bring your building plans to this extraordinary 5.5 acres located near the Foot Hills State Forest and within walking distance to the Paul Bunyan Trail. 13.35 Acres of Prime hunting land with access to Tax Forfeited land to the West. 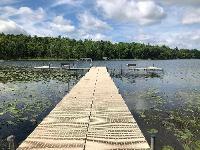 Access to beautiful Baby Lake on property as well. Build the cabin across the road and have lake access and hunting property in your back yard. Must see to appreciate the possibilities. Privacy Privacy Privacy!!!! 8 acres on Little Boy Lake connected to thousands of acres of public land. Great Fishing, and hunting at a very affordable price. Building site cleared and a 27 foot camper set up and ready to use. Come take a look! Hunting land and Leech Lake all in one bundle. Excellent deer hunting with Covered boat lift/docking in maintained harbor. Excellent sand beach and fish cleaning house. Building site is ready, septic site evaluation is complete for your house, or maybe a great place to camp with your Ice Castle fish house in the summer? Come take a look! Pack up your family, and head to the cabin! Enjoy that summer breeze, the crackle of the bonfire, and the evening loons all right here on Girl Lake. With 120' of shoreline, 1.95 acres with mature oaks, maples, weeping willow, and large yard you'll be able to watch the kids fish from the dock, and enjoy all that summer has to offer. Enjoy your morning coffee off the deck, or down on the dock. Take the boat and the kids into town for ice cream and all the fun that Longville has to offer!